George Ainley (Service No 1658) was born in Manchester, England and arrived in Australia in October 1913. 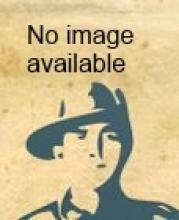 At enlistment George was single, 26 years old, employed at a tan yard at Corrimal, N.S.W. He embarked from Sydney on HMAT A6 Clan McCorquodale with 8th Light Horse on 13th November 1915. After arriving in Egypt he was transferred to the Artillery on 1st April 1916. George arrived in France on 16th June 1916. On 25th January 1917 he was transferred to 11th Field Artillery. George saw service on the Western Front until 12th October 1917 when he was wounded and evacuated to hospital in England for treatment of serious gun shot wounds to his right buttock. He returned to his unit on 5th January 1918 and served until wounded a second time on 27th September 1918. He was evacuated to hospital in England with multiple serious shell wounds to his abdomen. After a long recovery he was returned to Australia in October 1919 and discharged medically unfit on 25th January 1920. George died in Victoria at the age of 97.